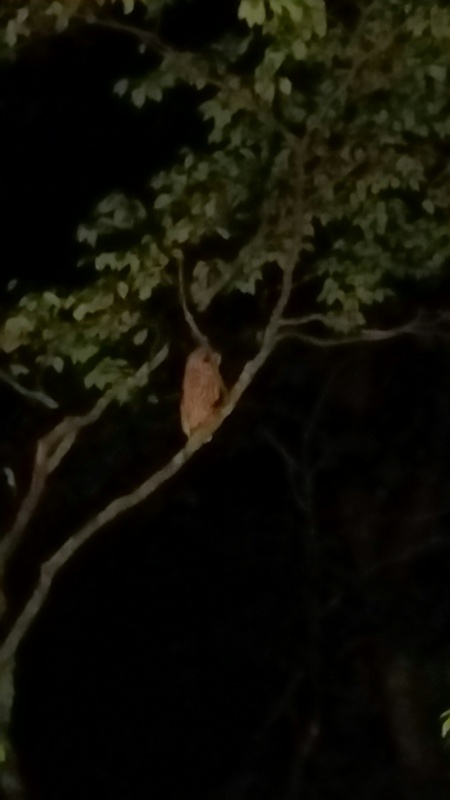 A few nights ago, Achaosofkittens captured some blurry photos of the big barred owl that has been lurking over the driveway. It is a big sucker, so I'm guessing it's female. It's also been mostly making the whowhowhowhooooo call rather than the highly modulated call that marks territory, so I'm also guessing it's a reasonably happy owl. I say "reasonably" because we do have an owl that likes to sneak up and SCREAM at me as well. I'm really not sure what her damage is, but wow. I've jumped out of my skin a couple of times. 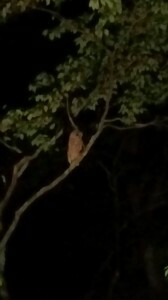 And for all I know, this is the same owl, just a different time of night.